Happy Thursday night everyone! Ha, it’s 10pm here in the UK and across the world, this Hop is happening with all 12 of our team. So it could be 7am with you, 4pm or late late late! I do enjoy this hop though. I like that there’s no theme and I can do anything I like. And I’ve decided to use the same DSP pack, Frosted Floral, that I’ve used on my 3D project for this month’s bundle of projects. 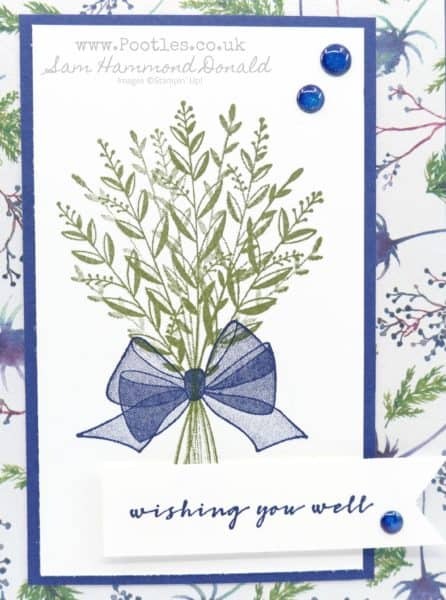 However, rather than being totally matchy matchy with the stamp set in that suite, I decided to bring in the Wishing You Well set which everyone has fallen in love with. It’s just divine and that bow has caught everyone’s eye! 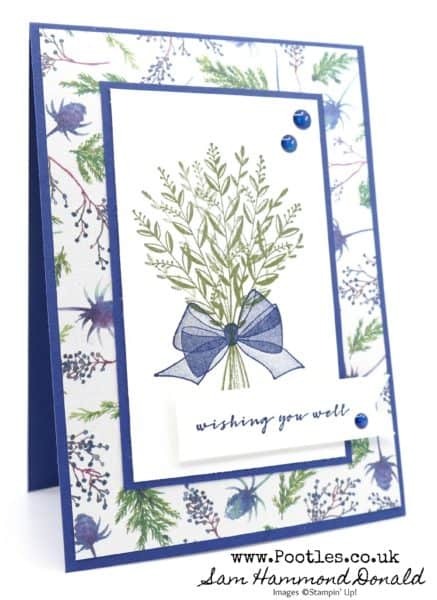 I went with Mossy Meadow for my bunch of flower stems and then brought in the Night of Navy on the bow to match the card base itself. And can you see those glittered enamel dots? Originally Coastal Cabana, I coloured them with my Dark Night Of Navy Blends marker… Too cute! Have fun hopping around everyone’s projects, but don’t forget, you can get a hold of all 12 Tutorials too via the details below. I hadn’t noticed that paper in the collection, wow, it’s beautiful and the colours are so fresh and crisp. Love it! Oh, how pretty!! I love this paper and the color combo is gorgeous! I love, love, love,this card Sam. 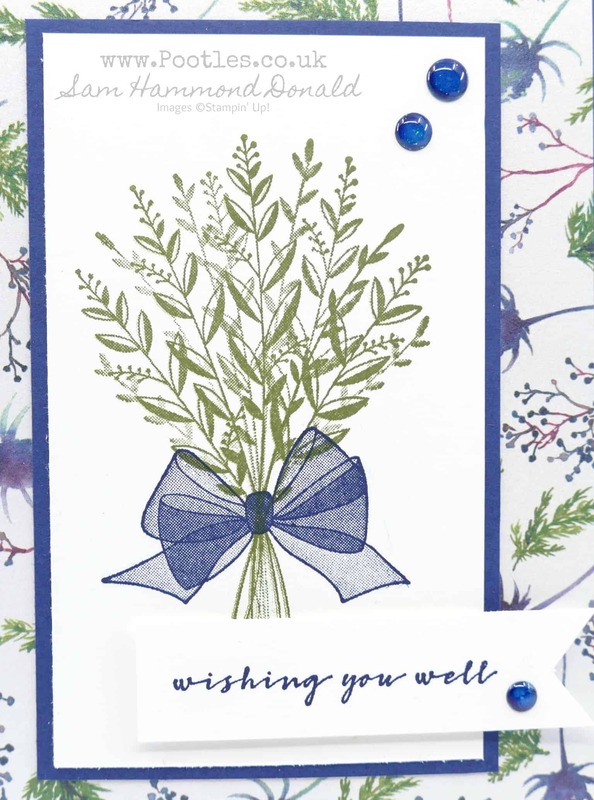 Beautiful card, love the colors and paper used.